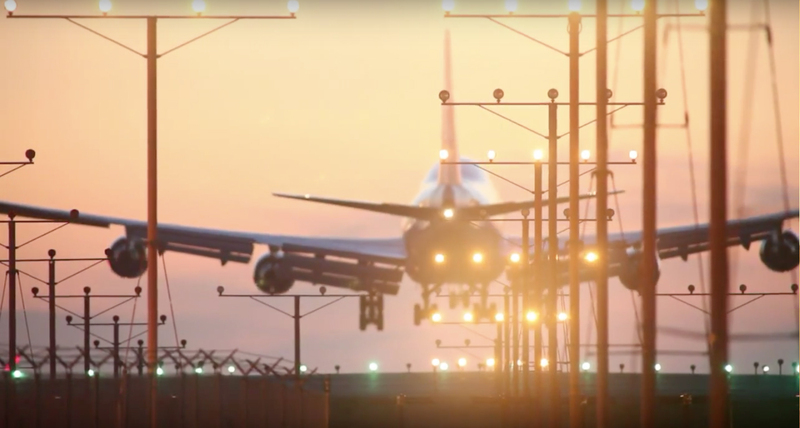 Aviation and the airline industry in general has many facets that involve a complex array of labor and technology intensity, critical timing, and strategic decision making. The characteristics of the aviation industry are amenable to significant efficiency improvements with implementation of the ARDES system. The ARDES system is a wearable computer devise with industry specific software designed to improve work flow efficiency and data management as applied to the aviation/airline industry. 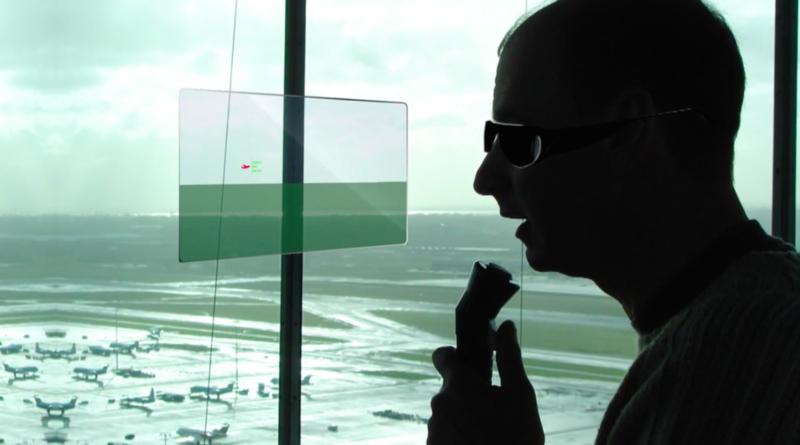 The air traffic controller is just one of many possible applications of the ARDES system. The job of an air-traffic controller is notorious for being stressful. The origins of this stress are likely rooted in the technology rich environment, multiple simultaneous task management, timing judgements, and profound decision consequences. Much effort has been made to move the technical data closer to the user. This often simply involved clustering a multitude of monitor screens around a work station or mounting a monitor partially over a viewing window. None of these attempts allow the data to move with the user or to keep continuous eye contact on the subject without the need to look away for data reference. For example, the air-traffic controller in charge of runway management would wear the ARDES system. As the controller views out the control tower window, planes awaiting takeoff, as well as, those on final approach for landing are visualized. Data input on the screen displayed by the head mounted devise (HMD) is conveniently located just off to the side of direct line of sight. Through manual input from the arm mounted devise (AMD), different sets of data and format screens can be chosen. For instance, a landing sequence screen is chosen and formatted in the following manner. Based on the airport’s ground layout of runways and taxiways a representation would be profiled. This profiled view would adjust in real-time based on the HMD location and user’s direction of view. The landing sequence screen would have identified icons positioned to correspond to live positioning. Planes awaiting takeoff are positioned on the taxiway. Planes on final approach are represented by identified icons that will progress and transform across the screen. Initially the most distant icon will be small and glimmer green once for attention before remaining a solid green color. As the round icon progresses across the screen it increases in size. At a point representing a specific time to touch-down the icon begins to elongate in shape and changes color to a slowly pulsing yellow. The elongated icon continues to increase in size as it progresses across the screen. The frequency of the pulsing yellow increases with progression. At another point representing time to touch-down, the icon changes to a solid red color. The red elongated icon continues to increase in size until touch-down. The transition points are based in time to touch-down to take into account variable aircraft approach speeds. As another example of the augmented perception of reality, the controller looking out the window at the horizon, depending on daily visibility, may not have a direct visual of the plane yet while an icon will confirm data of what is anticipated. The natural flow and progression including indicator signals removes much of the stress in judgement decision making. The spacing and timing indicators are all calculated and set to industry standards. With the assistance of constant visual contact of both the subject field and data in a mobile, user friendly format, both stress and human error are reduced. The application of ARDES efficiency to any of a number of applications in the aviation/airline industry will be transformative.